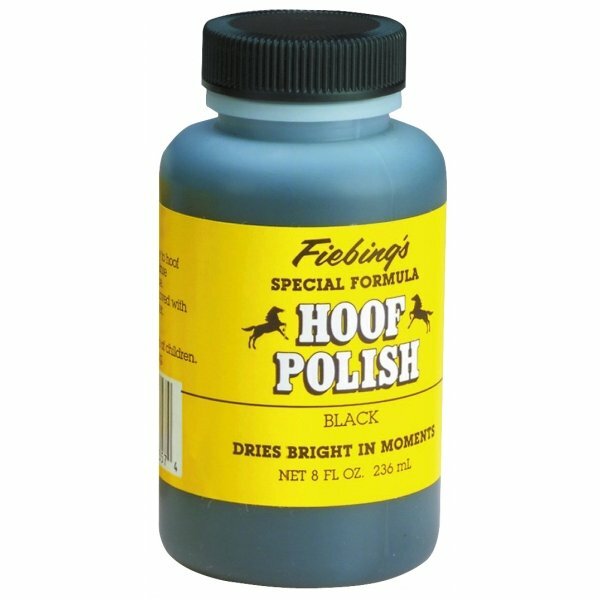 Fiebing's Hoof Polish works great to protect your horse's hoofs. This non-toxic polish is made from a water-based formula that is safe for you and your horse. It requires no harsh chemicals for removing it and comes with a dauber to make application easy. Fiebing Hoof Polish has different options and/or variations, please choose below. 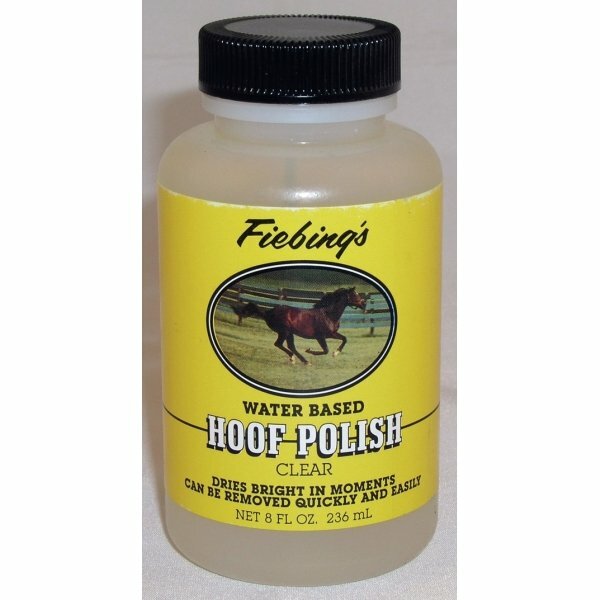 Fiebing's Hoof Polish works great to protect your horse's hoofs. This non-toxic polish is made from a water-based formula that is safe for you and your horse. It requires no harsh chemicals for removing it and comes with a dauber to make application easy. Size is 8 oz. and comes in black and clear.